GTI Best School cup is in Bridgnorth! Our two National Squad members competed again this weekend, this time at the LTSI South East Open, and came home with a bronze each for sparring. There were over 400 competitors and around 30 clubs, so this was another huge achievement! What’s really fantastic is that GTI won the Best School cup for the most prodium places of any school! It’s doing a tour from Bridgnorth to Liverpool to London, where the team members that make up the squad, train. So we’ve been getting snap happy and taking lots if photos with this huge cup! GTI’s Best School cup – doing a tour of Bridgnorth! 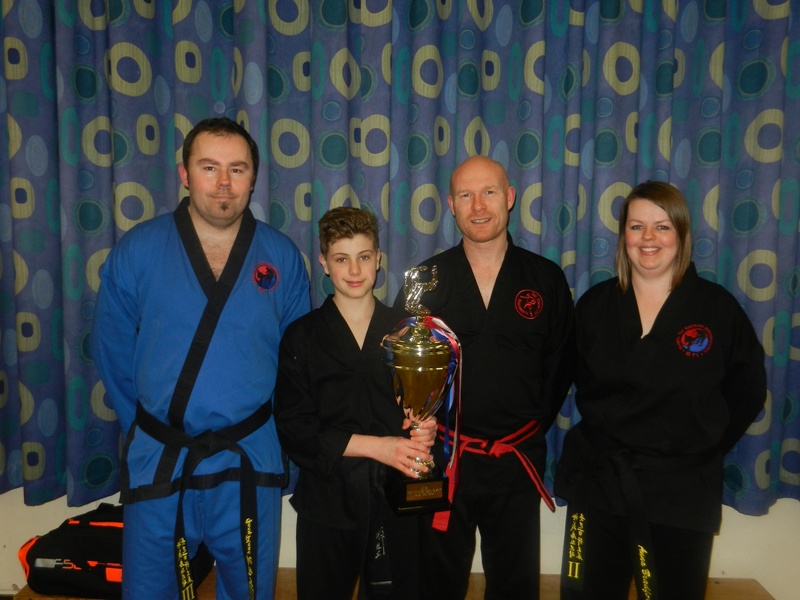 This entry was posted in Training Diary: Mum vs Ninja on March 11, 2015 by bridgnorthtaekwondo.